John McMartin (b. Warsaw, IN, November 18, 1929) is an American actor of Broadway, off-Broadway, regional theatre, film, and television. He has been nominated for five Tony Awards® (Sweet Charity 1966, Don Juan 1973, Show Boat 1995, High Society 1998, Into the Woods 2002), four of them for his work in musicals, and won two Drama Desk Awards, both in 1973 (The Great God Brown, Don Juan). He was also nominated for two more Drama Desk Awards (High Society 1998, Grey Gardens 2006). He has eight made-for-television movies and fourteen feature films to his credit (A Thousand Clowns 1965, All the President’s Men 1976, Blow Out 1981, Native Son 1986, Kinsey 2004), and has appeared as a guest star on numerous television series (Marcus Welby, M.D., The Partridge Family, The Rockford Files, The Mary Tyler Moore Show, Murder, She Wrote, The Golden Girls, Cheers, Law & Order, Frasier, and many others). Born in Indiana but raised in Minnesota, John McMartin went to college in Illinois and New York. He made his off-Broadway debut in 1959 as Corporal Billy Jester in Little Mary Sunshine, for which he won a Theatre World Award. He appeared on Broadway soon thereafter in The Conquering Hero and Blood, Sweat and Stanley Poole (both 1961). He spent two years in the television daytime soaps (As the World Turns) and guested intermittently on other shows. In 1965 he had a starring role in Pleasures and Palaces, a musical bound for Broadway, but the show closed after its initial Detroit run. The same year he made his film debut in A Thousand Clowns. 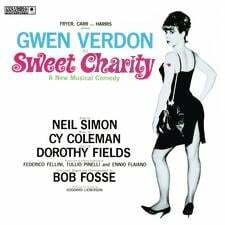 In 1966 McMartin created the part of Oscar in Sweet Charity on Broadway opposite Gwen Verdon, which he would repeat on film (1969) opposite Shirley MacLaine. In the early 1970s McMartin was a leading member of the New Phoenix Repertory Company, playing in The Great God Brown (O’Neill), Don Juan (Molière), The Visit (Durrenmatt), Chemin de Fer (Feydeau), The Rules of the Game (Pirandello), and Love for Love (Congreve). He has been a notable interpreter of Stephen Sondheim, singing “The Road You Didn’t Take” and “Live, Laugh, Love” in the Tony Award®-winning Follies (1973), and appearing in regional productions of A Little Night Music and the 2002 Broadway revival of Into the Woods, for which he gained a Tony® nomination. His other Broadway roles have included the Narrator in Happy New Year (1980), Ben in A Little Family Business (1983), and Donner in Artist Descending a Staircase (1989). In 2006 McMartin created the roles of J.V. “Major” Bouvier and Norman Vincent Peale in Grey Gardens, winner of the 2007 Best Musical Tony Award. 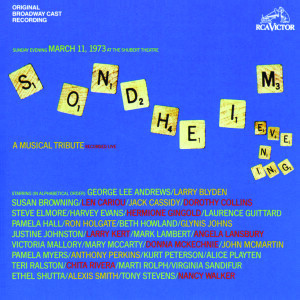 He also played Anton Schill – the role he had played in the 1973 New Phoenix revival – in the musical version of The Visit by Kander and Ebb in Chicago in 2001. 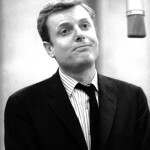 John McMartin was married to Cynthia Baer, one of the producers of Little Mary Sunshine, from 1960 to 1971. He has two daughters.